Hometown dealers provide competitive interest rates with credit unions and banks. Vehicle shopping is completed all at one time – vehicle search, selection, auto financing with any credit. The dealership can shop your credit profile around to different lenders to secure you the best interest rate. Dealers frequently will bargain with buyers concerning interest rates, where banks have fixed rates. Dealer flexibility can be a terrific advantage to buyers. To find a reputable dealership near you, look at review sites online or get recommendations from recent used car buyers. 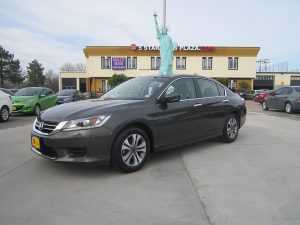 In particular, search for a dealership that can offer the previously mentioned incentives so that you can secure the most effectual car purchasing experience. 5 Star Auto Plaza takes pride in the wide selection of pre-owned vehicles in every price range in our ever-growing inventory, pleasant and informed sales personnel and competitive car loans in Wentzville to meet all credit ratings and financial situations. Do you have questions about our services? Give us a call at (636)940-7600 and we will be happy to answer all of your concerns.